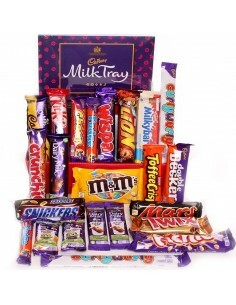 Christmas chocolate hampers - Christmas gifts for 2017. 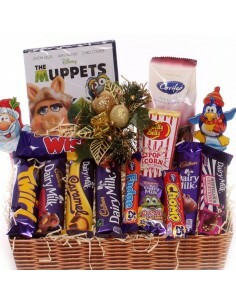 Everyone loves the excitement of receiving a Christmas hamper and our hampers are sure to delight. 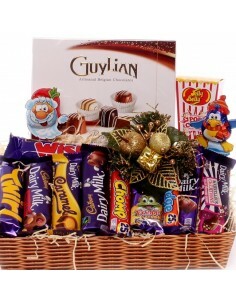 A popular gift for young and old, a Christmas hamper with a delicious selection of treats for everyone to enjoy. 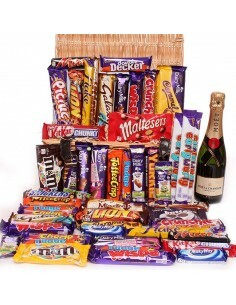 Our luxury Christmas Chocolate Hampers are all in stock and available to buy now. 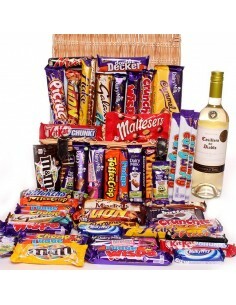 Take the hassle out of Christmas by letting us send one of our delicious hampers directly to family and friends. 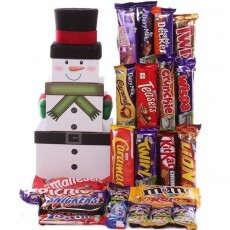 Christmas Gift Towers Imagine their face on Christmas morning as they open not just one Christmas box filled with goodies but four, each one carefully packed with a delicious selection of Christmas treats. Our gift towers comes stacked on top of each other secured with a Christmas ribbon and your own personal message included. What a special Christmas Treat! 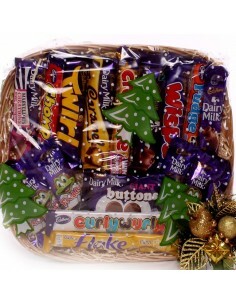 All Christmas hampers come gift wrapped with a personal message included. Imagine their faces on Christmas morning as they open not just one box of goodies but four all beautiful packed and presented in a stacked with a Christmas ribbon and your personal Christmas message attached. 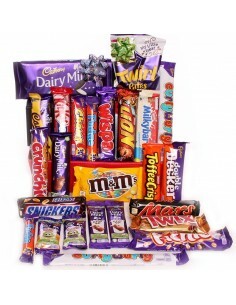 Chosen date delivery is available. Pre-ordering is available at the checkout. 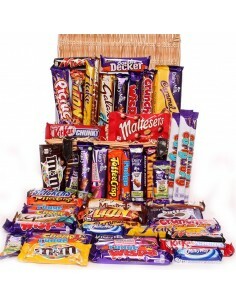 Chocolate hamper Cadbury, Nestle and Mars. 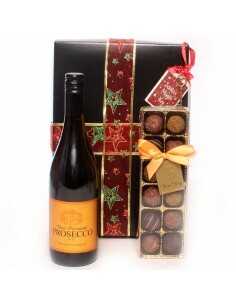 Christmas and Prosecco Gift Box. 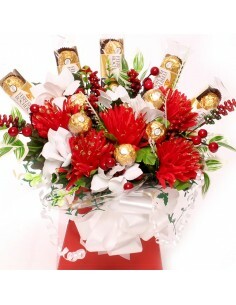 Festive Cheer Ferrero Rocher Bouquet. Gift Tower Prosecco Chocolates and Sweets. 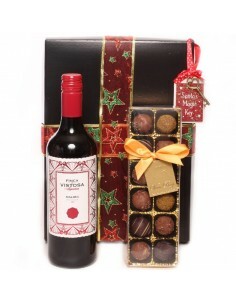 Christmas and Malbec Gift Box. 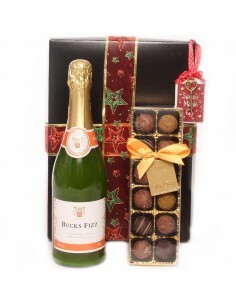 Christmas and Bucks Fizz Gift Box. 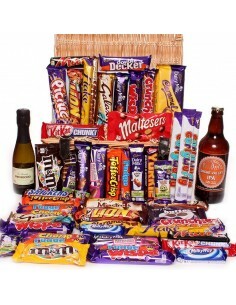 Large Chocolate Hamper with Prosecco and Beer. 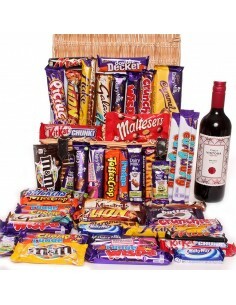 Christmas Hamper Gift Family and Friends Tower Hamper. 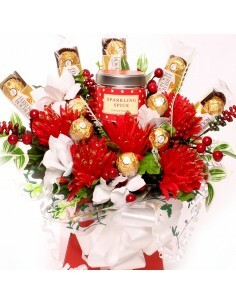 Sparkling Spice Candle and Ferrero Rocher Bouquet. 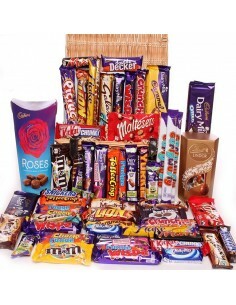 Large Chocolate Hamper- sharing chocolate hamper.